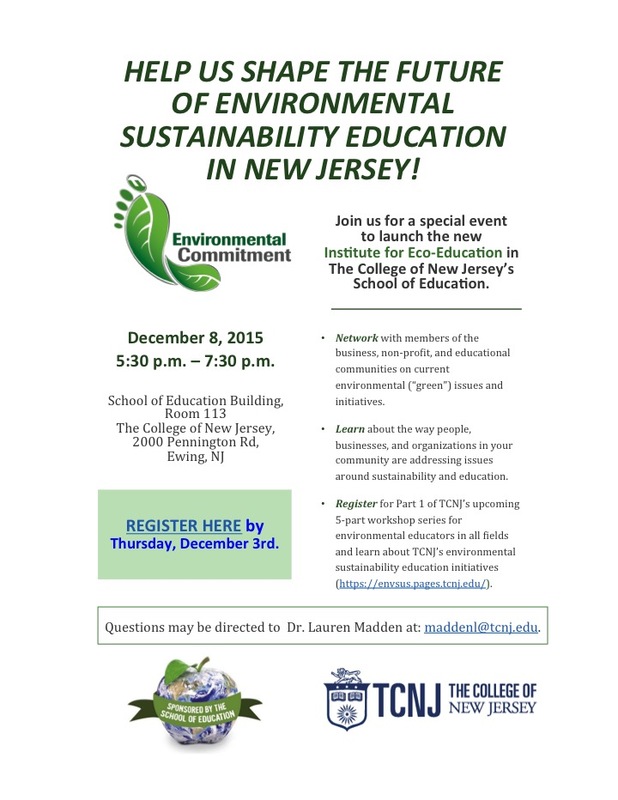 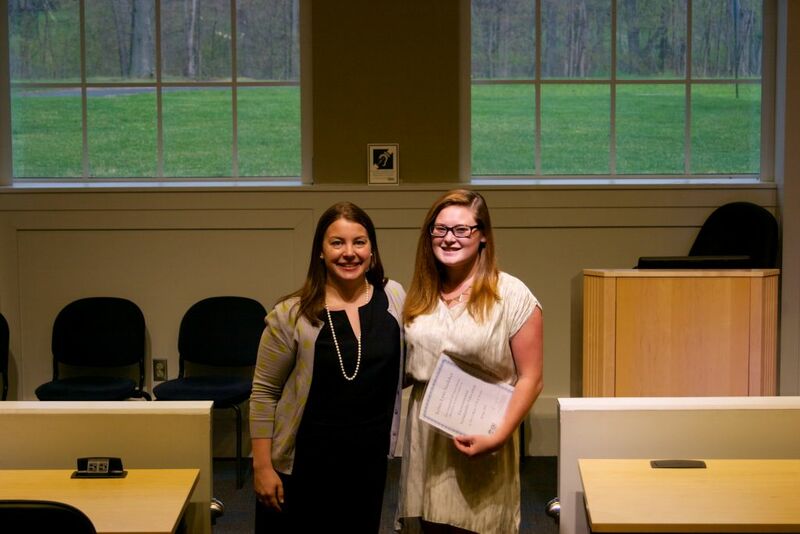 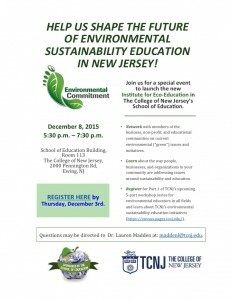 What’s happening in Environmental Sustainability Education at TCNJ? 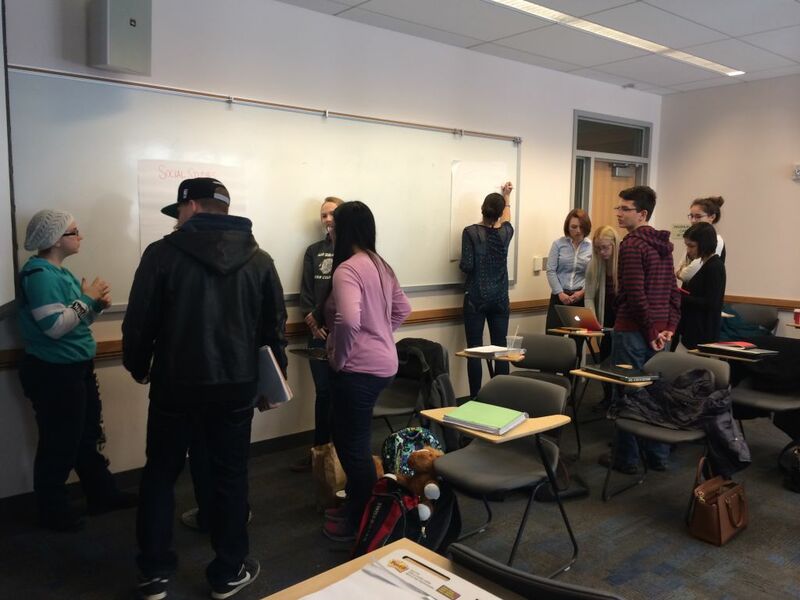 On 9/30 we held a fantastic meet & greet, where we got to know more about students interested in environmental sustainability education. We had a fantastic kickoff celebration on Earth Day 2015- April 22nd! 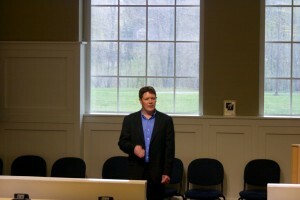 Keynote speaker Dan Smith provided a hopeful message about environmental education and exhibitors from all over campus shared their work.